Between May and June 2014 we hosted #Talkdigital: a writing competition which gave us the opportunity to listen to our followers, fans and website-users. We wanted to hear from people who connect online with the Institutions. What do they think of how the EU communicates digitally? What changes would be most welcomed? Run by the European Commission’s Social Media team, the initiative, which received 50 entries, provided us some really valuable insights that we will seek to include in all future communication activities. Engagement and reliability are golden on social media. Since the establishment of our social media presence we have been trying to be responsive to our followers and fans, to do our best to keep providing them with useful and practical information. Social media engagement should not be a passive experience. Instead of waiting on your followers and your community reach out to you, proactive engagement can really make a difference in community management. This requires more resources than passive listening but the benefits far outweigh the costs. The #TalkDigital winning entry suggests that EU institutions set-up a “permanent digital helpdesk service for the EU”; a sort of customer service-like approach to citizens’ questions, following the example of companies such as @DB_Bahn, @eurostar or @talktalkcare on Twitter. Even though the EU already provides a similar service via the Europe Direct Information Centers, we understand that the world of digital institutional communication is increasingly moving towards real-time digital reliability. The idea of moving such services towards a more digitalized dimension certainly fits the way communication is evolving. UPDATE – #Talkdigital blogging competition: you could be a speaker at EuroPCom 2014! The recent European elections have been an excellent opportunity to reflect on the direction we want the EU to take. So we have a question for you – how do you think the EU could better communicate with citizens digitally? 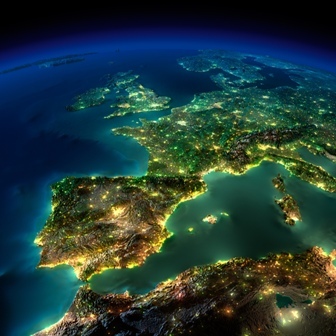 If you could suggest one big thing about European digital communication what would that be? Share your ideas in this blogging competition! The winning idea will be published on this blog and the author will be invited to speak at EuroPCom2014. You can submit your entry until 15 June 2014. Kosmopolito is one of the best bloggers in the eurobubble. He recently wrote The inconvenient truth about social media and #ep2014 which I find a very good and punchy piece on one of the main events of 2014 in Europe. Although I disagree to some extent, I think it is laudable that experts in the field are openly feeding the debate. In his article he points out “10 simple truths about social media and the #ep2014.” See my comments below each point. It would have been complicated to put all this in a blog comment so I preferred writing a dedicated blogpost about it. 1. Social media will only help a few MEPs that have already invested heavily in their individual social media presences. Using social media during campaigns may look good – but only a long term commitment can deliver sustainable results. It’s simple: be authentic, build relationships and engage your audience. But: Using social media in a bad way is worse than not using it at all. Think about it! 1. I don’t find the first point convincing, I actually think it debunks your assumptions. “Social media will only help a few MEPs that have already invested heavily in their individual social media presences.” You are basically saying that the MEPs who have invested on social media will have an advantage compared to those who haven’t. Doesn’t this mean “having an impact?” This is for instance very visible in Italy where the EP elections will be (maybe coincidentally) lead by the two leaders and parties that have the highest followerships and highest levels of investment and engagement on social media. 2. We live in an echo chamber – the bubble is talking to itself. Nobody listens to voices with a different opinion. You only follow stuff you already like. Result: Social media is not a helpful tool for complex political debates. Welcome to the filter bubble! 2. I disagree to a certain extent. “Following” somebody doesn’t’ necessary mean to agree with that person or institution. However, it is true for most (not all) people, that we live in a social media self-built echo chamber. 3. 75 % of Europeans still get their political information on Europe from TV. “The Internet” is only the 4th most important resource for political information – and the preferred information sources on the internet are “information websites” – not social media. 4. Social media does not reach people who are already disengaged from politics. And even if there is more engagement it does not translate into a higher voter turnout. Statistically, young people are more engaged on social media but their interest / engagement in the political process is falling – both at the national and European level. Suggesting that social media will boost the turnout of young voters may be a false correlation. #Talkdigital blogging competition: have your say on European digital communication! The next European elections will take place all around the European Union between 22-25 May and it’s a good time for us all to reflect on the direction we want the EU to take. So we have a question for you – how do you think the EU could better communicate with citizens digitally? If you could suggest one big thing about European digital communication what would that be? Share your ideas in this blogging competition! The winning idea will be published on Waltzing Matilda, the blog of the digital team of the European Commission, and the author will be invited to speak at EuroPCom2014. You can submit your entry until 15 June 2014. One of my favourite discussions brought up by the famous communication expert Mike Elgan is about using Google Plus as a pure blogging platform. Defining true blogging gets harder and harder simply because the 4 most used social media represent an example of blogging too. Demian Farnworth from Copyblogger explains his disagreement with Elgan in this blogpost. I like Elgan’s reply. It’s experimental, it’s innovative, it’s trendy. However, I believe Farnworth argument is more solid and more applicable across different types of business. Even though defining “blogging” gets harder and harder it is true that a sort of implicit and commonly shared definition exists among communication experts. See below Elgan’s reply to Farnworth. Do you agree? Point 1. 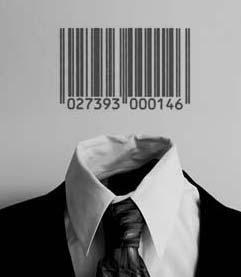 You become a digital sharecropper. Point 2. You can’t (easily) monetize a social media blog. Point 3. No effective archive. Point 4. Clunky link structure. Point 5. No schedule posting feature. Point 6. No control over design. Point 7. Plantation owners change, wither, and die. Point 8. Google doesn’t think it’s a great idea, either. Every Friday, I post my TOP 5 blog posts about social media and digital communication of the week. It’s basically an #FF for blogs. I think we’ve all been waiting to see where this would go, so here is one of the first Google Glass concepts specifically made for the healthcare sector, and in particular to link Philips Healthcare technology patient data into the Google Glass Display. Is labelling yourself a “Twitterer” an excuse not to have a blog? Today I feel like asking you readers what you think about this. 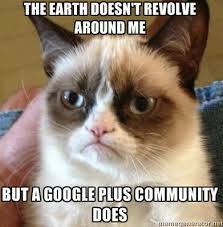 On a related matter, there have been lately loads of debates about blogging and using Google Plus as a blogging platform. Above all you should see Mike Elgan and Demian Farnworth’s thoughts on the issue, but we will cover this at a later stage. Is being a twitterer an actual thing or is it just for people to have an excuse not to write a blog (which actually requires a way bigger effort than tweeting)? As I see it, Twitter is a micro-blogging platform and it can’t replace an actual blog both in terms of content, network and community building. A blog provides more information, but Twitter is easier to fit into our increasingly busy lives. Arguably, more satisfaction is derived from writing an in-depth blog, but Twitter allows us to get right to the point. Blogs offer more perspective, but Twitter forces people to refine their thoughts. About me, about what, about personal about pages? Oh God…Every time I look at my blog, I can’t stop crying about my about page. Whenever I look at my site stats I know that the about page is the most visited page. Damnit, I am a communication expert, I have huge experience with analytics, I can totally see that coming but still I can’t get to create a good, stable and sustainable about page. Well, it’s certainly got better and better over time, but still I always feel like it could be better. At least, I’m consoled by seeing how many influencial bloggers and social media experts have appauling about pages. Still, it should not be an excuse to let your about page getting dusted. So let’s talk about it. What do we want to reach with our about page? Promote yourself? Boost your personal branding? Be left in anonimity? This should be your first question. If you are communication consultant you probably want to be visible. You want to show what you think, what you have done and what you can offer. The space of blogging in the #socmed sphere: how to make the best out of it? Blogs have been around since the late 90s. Given their evolution both in terms of technology and the space they occupy in the online world, it’s an interesting moment for anyone working in digital communications to take some time to evaluate. 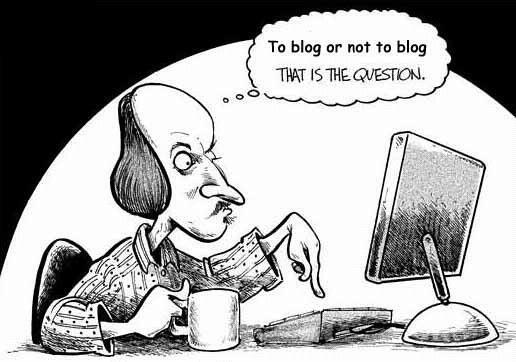 What is the role, the impact and the usefulness of blogging as a weapon in your arsenal? On top of this, we know how quickly social media moves – have other platforms made blogging redundant, or is it more important than ever? Writing practice: It’s a basic one, but an important one too. Having to produce quick, engaging content on a regular basis is a good skill to hone, and loosens up your writing. Target and inform: Blogging allows you to develop a niche and do it well, suiting your content to a target group that are really interested. Hand in hand with social media, a blog gives you a platform to get your information out quickly and effectively – and also hopefully in a way that comes up in a Google search. Show your expertise: Blogs give you the opportunity to really show how much you know about a subject, or shed some light on your involvement in it. Giving your more space than a tweet and more flexibility than a website, you can write about your work, share you knowledge with others and hopefully become a source of insight and influence. Networking and community building: Whether it’s through engaging with comments, guest blogs or being able to refer real-life contacts to your blog, it gives you the opportunity to build or join a network of other people in a similar field, and this will undoubtedly be useful both for feedback and future opportunities. Show transparency: Transparency is key, especially when it comes to institutional communication. It’s not a magic solution, but blogging helps bridge the gap between the audience and the policy makers or academics, and lets you talk as openly as you can about policy issues. Humanise your content: A blog, which should be relatively informal and have a real person/people clearly behind it, gives you the opportunity to humanise your content. Of course, these advantages come with a price. Now, let’s say that the 6 points mentioned above make you want to start a blog. Your first challenge will be to keep your blog alive.